The project consisted of a 2-day workshop held at the Smithsonian Tropical Research Institute in Panama City and day of gear removal training. The project aimed to build on successful efforts by the Panamanian government and create a cohesive network to address the problem of ghost fishing gear in the Caribbean and Latin America regions. Partners in this project included World Animal Protection, Conservation International, Aquatic Resources Authority of Panama (ARAP), NOAA Marine Debris Program, the Professional Association of Diving Instructors (PADI) and Natural Resources Consultants. Demonstrate systematic recording and reporting of ghost gear data. In total, 8 countries were represented at the workshop, including Panama, Colombia, El Salvador, Virgin Islands (US), Bermuda, Puerto Rico, United States and Costa Rica. Stakeholder participants were very diverse, consisting of fishers (dive and net fishers), fisheries managers, dive charter operators, aquariums, NGOs and universities. The diving instructors were Edgardo Ochoa of Conservation International and Mark Manuel of NOAA Hawaii. 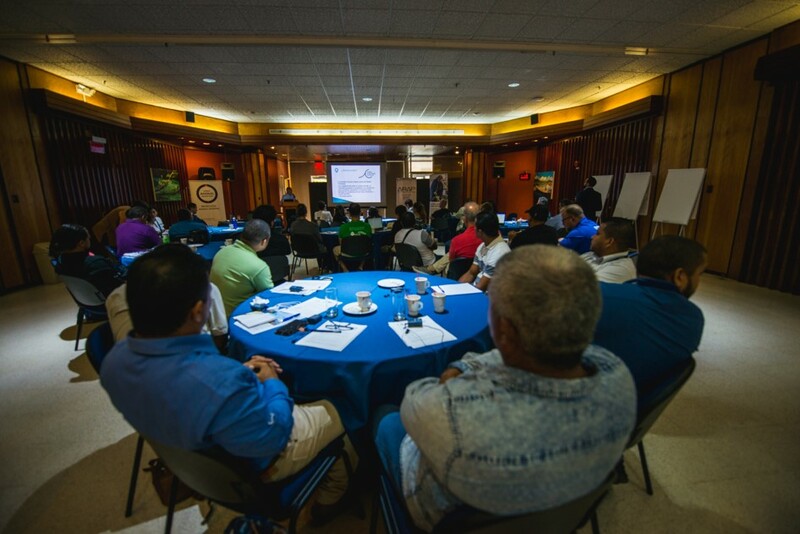 The workshop began with a background on the GGGI and the ghost gear problem in general (and as relates to the Caribbean region) followed by an overview of the work of the Panamanian Government to address ghost gear systematically through reporting and diver removal operations. The workshop also included an overview of the GGGI Best Practice Framework for the Management of Fishing Gear, the GGGI Ghost Gear Reporter app and global data portal, and various case studies from around the world. This was followed by dive safety protocol as relates to ghost gear recovery, and training on removal protocols. Finally, there was an active dive removal of two gillnets from local waters. Local divers were successfully trained in dive removal of ghost gear and safety protocols and garnered practical experience in removing ghost nets from the region, so that further removal work can be done proactively and safely. Local stakeholders and the Panamanian government - a GGGI signatory - were hugely supportive of this work. Multiple partners were connected throughout the region, helping to expand the network of individuals and organizations interested in tackling the ghost gear problem in the region.